So, how exactly do we “pay for” Medicare for All? The same way that we just “paid for” $700,000,000,000 for a single year of military funding. The same way that we just “paid for” $1,500,000,000,000 in tax cuts for the wealthy. The same way that we “paid for” a $1,300,000,000,000 fighter jet in 2016. The same way that the United States has always “paid for” all of the fantastically-expensive things that benefit the powerful: Immediately and without discussion. Because they want it. In the richest country in the history of the world, with its abundant natural resources, and its millions of unemployed or unsatisfied citizens (waiting and willing, ready and able, and desperate to make it happen)…. It is time to stop talking about how we will “pay for” anything. 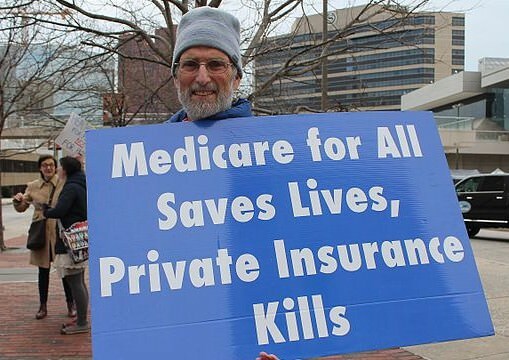 If we can “afford” the fantastically-expensive programs that cater to the wealthy and the powerful, then we can sure as hell “afford” the moderately-expensive programs that the powerless need to survive, starting with Medicare for All. 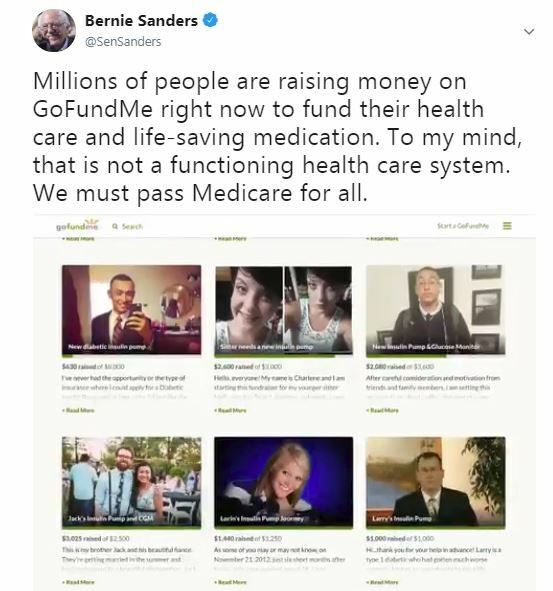 Spending even one more second discussing how we will pay for Medicare for All (or any program that benefits the powerless) is a supreme and cosmic waste of time. In fact, the entire “pay for” question is a sham and a scam, and a trap and a trick. It is cruel and unfair to the millions and millions of Americans that are suffering from ailments, stress, red tape, and bankruptcy. Discussing how to “pay for” Medicare for All guarantees that we will never have Medicare for All. The “pay for” question is also a vast and intentional waste of time. The only thing we should be discussing is how to organize and march into the halls of Congress and demand that they give us Medicare for All — once and for all goddammit. I am a strong advocate of encouraging Democrats to pick separate fights. [I believe they should stop linking] the fight of increasing taxes on the rich with the desire to increase spending on programs the Democrats like. For example, to say that you want to make public colleges and universities tuition free and the way we’re going to do that is through a tax on Wall Street speculation. Or we’re going to tax the rich to pay for Medicare for All. Or we’re going to close tax loopholes to do infrastructure. Or whatever the case may be. I am absolutely in favor of dealing with disparities [such as] income and wealth inequality, and concentrations of wealth in the hands of a smaller and smaller few. It’s bad for democracy, it’s bad for the functioning of our economy. There are a whole bunch of reasons why I will make the case for increasing taxes on the wealthy. I will not make the argument that we need to increase taxes on the wealthy in order to pay for crumbling infrastructure and take care of the elderly and so forth. Here’s the reason why: I think it’s cruel and unfair to the sick and the poor and the hungry and to our environment and everything else. To tie these fights together in a way that says, “unless and until.” Unless and until we can “win” on higher taxes, whether it’s carbon tax or [any other kind]. Unless and until we can get the money from “them,” we can’t take care of our people or communities or planet. That drives me mad. I don’t think we have time to wait around while we try to pick a few [billions] off the billionaire class before we deal with the really serious threats that we face today. We have to decouple these fights. You fight for higher taxes by all means. Go and have that fight. But don’t link success on the other front to your success on [this one]. I’ve watched it fail and fail and fail. Previous Post: OPINION: GOP Tax Bill Bites NJ Harder Than Any Other State. With MacArthur’s approval. Next Post: OPINION: NJ’s 3rd District Needs A Real Representative!